The family-owned Cornelius store joins about 40 businesses to receive the honor from Washington County. For years, Murphy's Furniture has been a little bit recycling-crazy. To hear the co-owners of the Cornelius-based family business tell it, it's just how they were raised. Kathy Murphy-Hogan and Mary Murphy-Holub inherited the store from their mother, Ruth Murphy, who founded it in 1973. "Everything has value," said Murphy-Hogan. 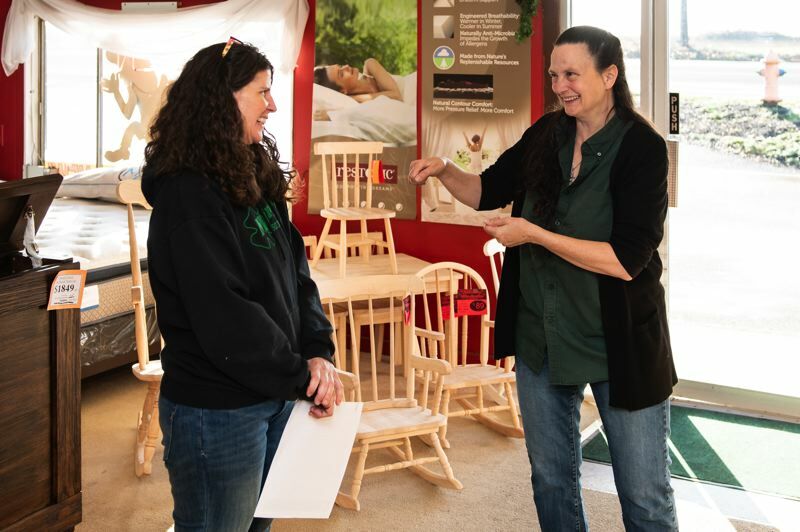 It feels like "validation," she said, for Murphy's Furniture to be receiving the Green Business Award from Washington County this week, at 9 a.m. Thursday, Dec. 6. The county has been giving out the Green Business Award since the start of 2016, according to program coordinator Thomas Egleston. Some 40 businesses and organizations have received the award since then, affirming that they have met Washington County's criteria for sustainable and environmentally conscious business practices. "It's a pretty cool program," Egleston said. "We encourage anybody to apply." Murphy's Furniture submitted an application in September. It didn't take long for the county to confirm that the store qualified for the award. If it's inaccurate to say that Murphy's Furniture recycles everything, it's certainly not far off the mark. "We try not to throw anything away," Murphy-Hogan said, very seriously. Three times per week, Murphy's Furniture has to empty a dumpster it has set aside specifically for cardboard. A separate dumpster collects metal waste, which is recycled locally as well. 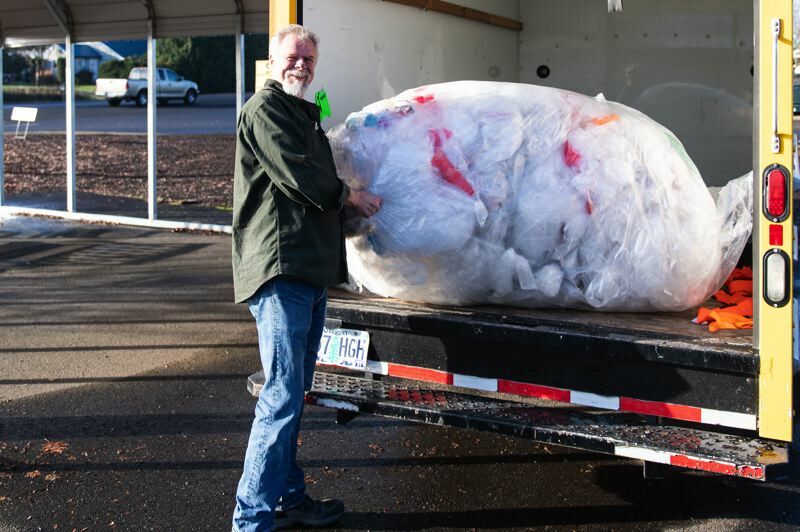 Styrofoam is trucked to recycling center Agilyx in Tigard, or donated to a Hillsboro artist who uses it in his work. Plastic bags are donated to a school in Hillsboro to be recycled. Used furniture is donated to St. Vincent de Paul or the Habitat for Humanity ReStore. Wood pieces are saved for use in furniture or taken home for firewood. Even with notoriously difficult-to-recycle materials like soft foams and hard plastics, Murphy's Furniture does its best to place them back into the recycling stream rather than sending them to the landfill. "I just refuse to be part of the problem," Murphy-Hogan said. "And it's not easy figuring out where to put the stuff. It's on my goals list constantly to figure out how to recycle (all this)." She added, "Once I found out I could do it, then it was like, 'OK, so if it's possible, I just have to figure out where.'" For the Murphy's Furniture family, recycling is something that comes "naturally," Murphy-Hogan said. "It's just so possible," she said. "And if more people do it, it won't cost as much to do." Setting an example for others is important, Murphy-Hogan and her sister said. But at a furniture store, the kind of packing materials and components that others might just throw away are plentiful. "We're making a huge impact," said Mary Murphy-Holub. The store also tries to work with "green" manufacturers, many of them local, such as Newberg-based Oregon Mattress Company. It has also partnered with local businesses, such as the Cornelius Fred Meyer, on recycling initiatives. 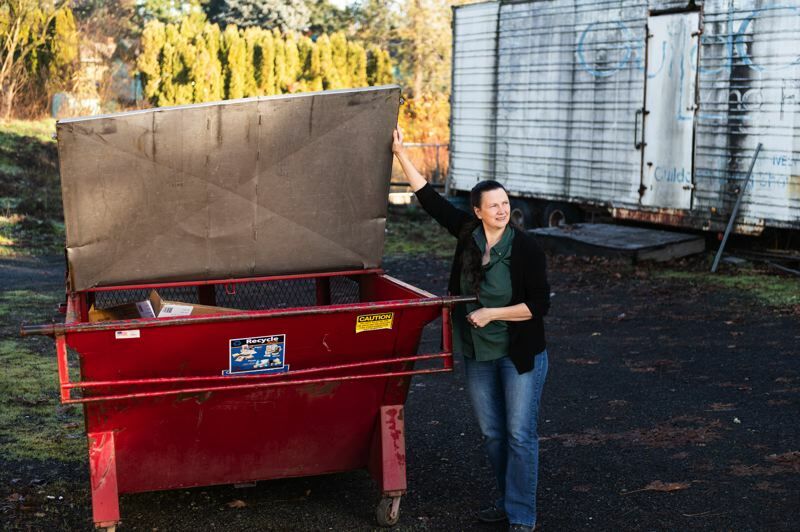 All taken together, the recycling efforts at Murphy's Furniture, and the Green Business Award recognizing the company's commitment to sustainability, are something that the family of owners can feel good about — even it isn't hugely lucrative. "This is not something somebody would want to go into as a career," Murphy-Hogan joked. "But if you think about it, every dollar we save in trash service is kind of putting us ahead, too."